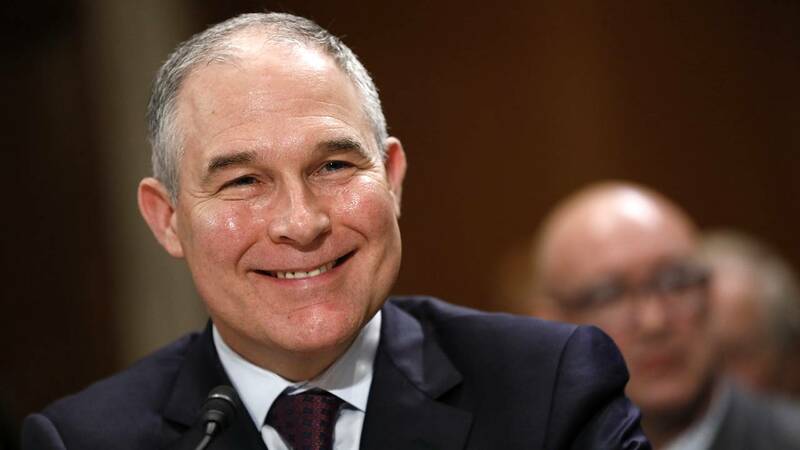 (CNN) - EPA Administrator Scott Pruitt is posturing for higher political office, including a possible run for president in 2024 or later, The New York Times reports, citing people who have spoken to him. According to those close to Pruitt, he is seen as a likely contender to run for Senate in 2020 if Oklahoma Sen. James Inhofe retires, and there is speculation he could enter this year's governor's race; additionally, he has made it known that he would take over as US attorney general if Jeff Sessions is ousted. "It was always known among elite Republicans that this guy had higher ambitions," Keith Gaddie, a professor of political science at the University of Oklahoma, told the Times. "The question was just, 'Does he want to be president, or does he want to be attorney general?'" A spokesperson for Pruitt told the Times that he is focused on his current role, which has heightened his standing with Trump supporters for his efforts to roll back environmental regulations disliked by agricultural and fossil fuel interests. "Administrator Pruitt has utilized a wide array of news outlets to advance President Trump's agenda on regulatory certainty and environmental stewardship," Jahan Wilcox said in an email to the Times. When asked about the report, Wilcox directed CNN to Pruitt's other interviews, including one with The Wall Street Journal in which Pruitt said he "thoroughly, thoroughly (enjoys) what (he's) doing." Wilcox also said the administrator had "addressed this numerous times." Pruitt's deregulatory actions, particularly on Obama-era climate regulations, have won him favor from the President and traditional energy lobbyists. However, his term as chief of the environmental agency has not been without controversy. The EPA inspector general's office launched an inquiry into Pruitt's travel expenses in August 2017 and expanded its probe in October 2017. Pruitt defended his military and first-class flights as necessary for security. The Washington Post found that his use of taxpayer money for travel on these types of flights and luxury hotels exceeded that of his predecessors. The inspector general started an additional inquiry into the cost of Pruitt's around-the-clock security detail in January 2018. Pruitt, who sued the EPA many times as Oklahoma's attorney general, has also come under fire from environmentalists for his moves on environmental policy as head of the agency. In addition to changes to rules and regulations on national resources, the Trump administration has made a stark shift in the US approach to climate change during Pruitt's leadership. As administrator, he has shied away from robust action on climate change, and the phrase "climate change" was not included in the agency's four-year plan.